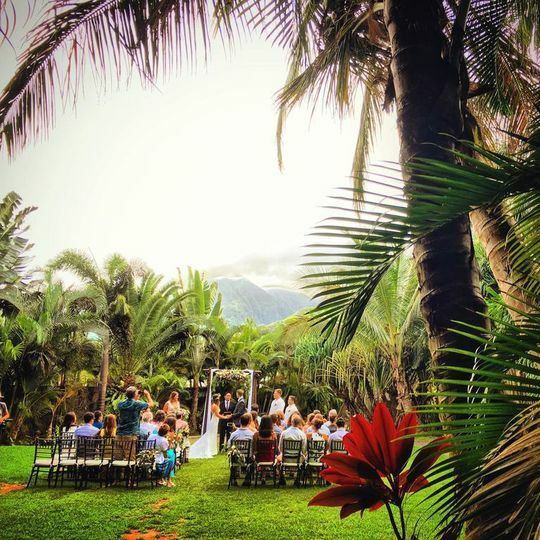 Hale Koa Estates Corp is a wedding venue in Oahu, Hawaii. 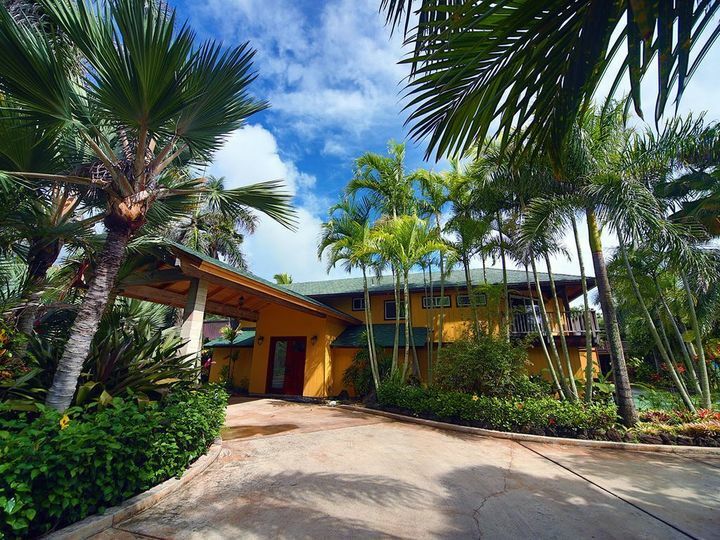 This botanical garden estate has two beautiful homes and a variety of amenities. 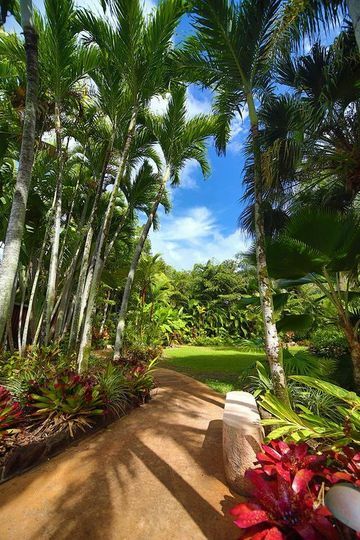 The houses are surrounded by an acre of beautiful, tropical land, with exotic plants and gorgeous views. 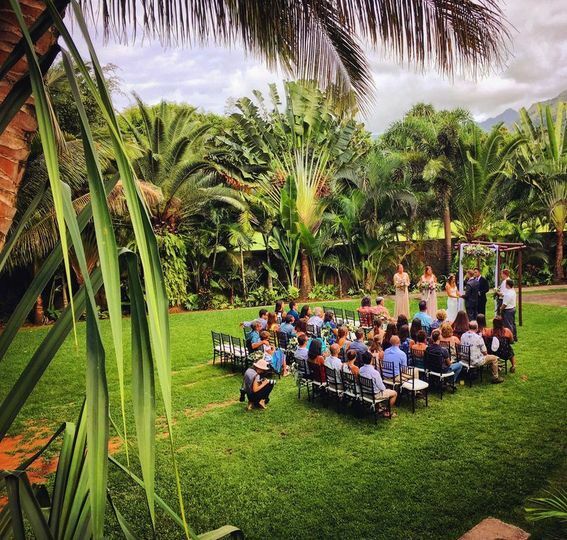 If you are seeking a private, personal, and luxury experience for you and your guests for your event, look no further than Hale Koa Estates Corp.
Hale Koa Estates Corp has 7,600 square feet of space. There are 10 bedrooms available, and the homes can sleep up to 41 guests. 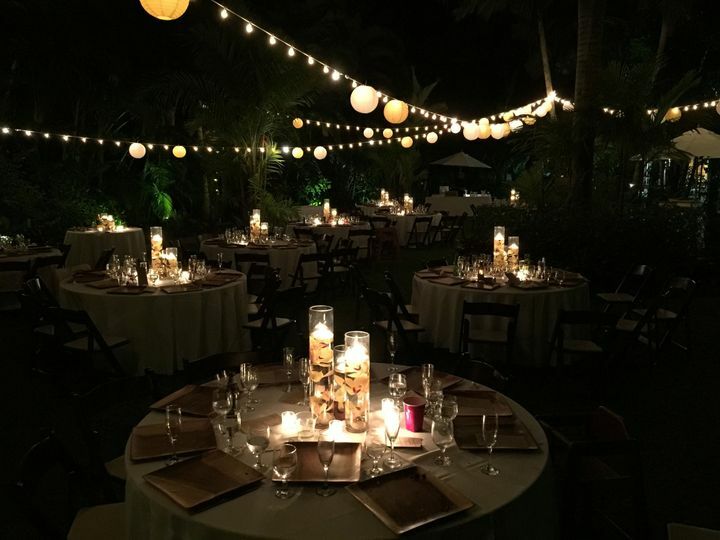 This makes the venue great for smaller, more intimate events, where you could bring everyone along for the stay. 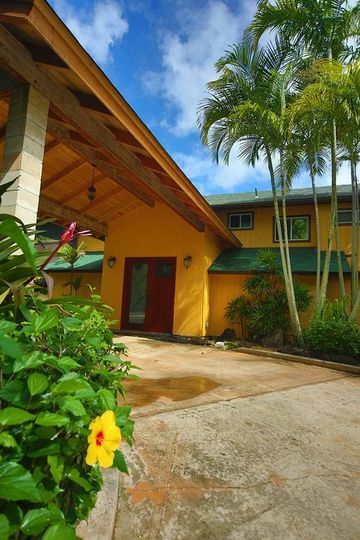 There are many great accommodations as well, such as the beautiful heirloom quality Koa furnishings, a jogging path, swimming pool, jacuzzi, basketball courts, home theater, and more. 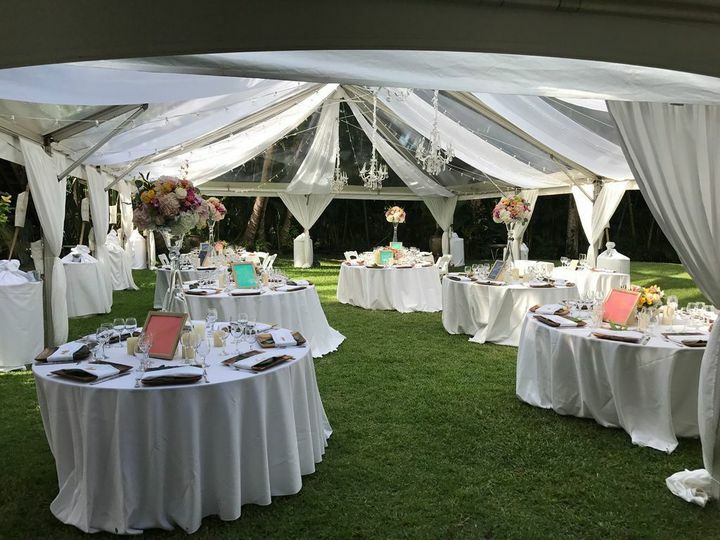 The venue space itself can accommodate groups of up to 200 people, for events like bridal showers, engagement parties, rehearsal dinners, elopements, and wedding ceremonies and receptions. Wow, words can't describe how much my family, friends, and myself enjoyed this beautiful estate. Pictures don't do this place justice. It is truly beautiful. 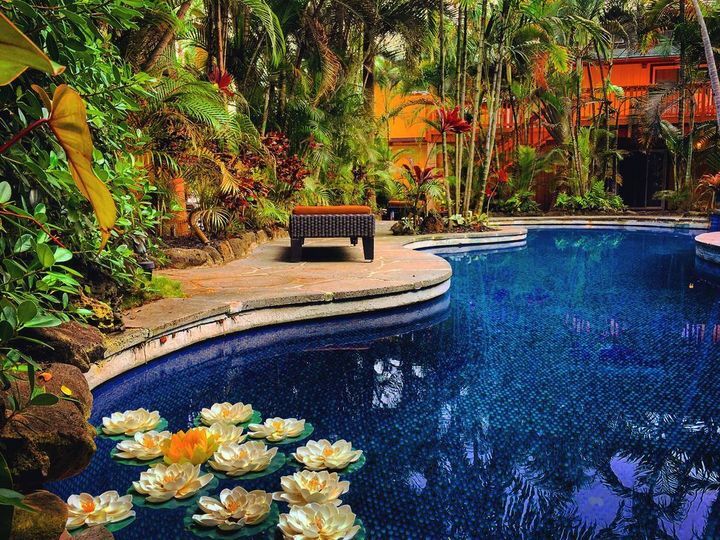 From the landscaping, to the furniture, to the pool, this house is truly amazing. Would definitely recommend for any type of fun trip, but especially for weddings/events. 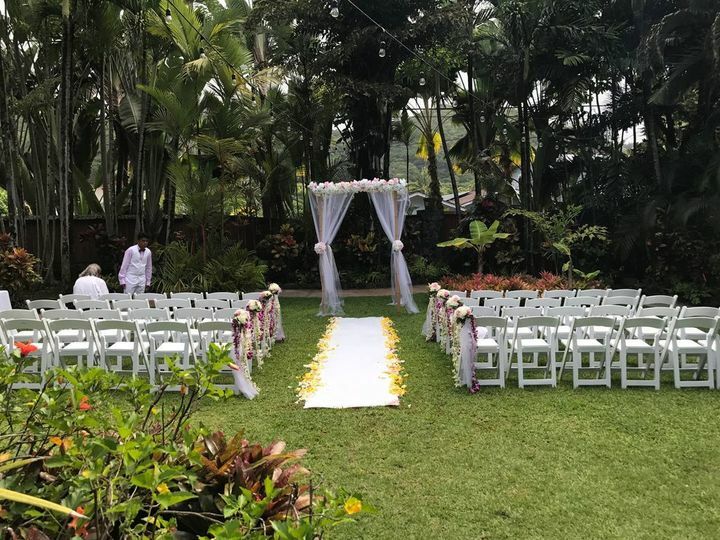 I had my wedding here August 25th (when a hurricane was supposedly going to hit the island, it did not) and Narayan was so extremely helpful. He made sure the property was set up for rain and flooding. His team brought in boards, sand bags and an extra generator, among other preparations. And Narayan stayed super calm and positive the entire time. Narayan was also my day of coordinator. He knows all the vendors very well and knows the property in & out, he did such an amazing job. I'm not sure what I would have done without him. This estate and Narayan are truly special!